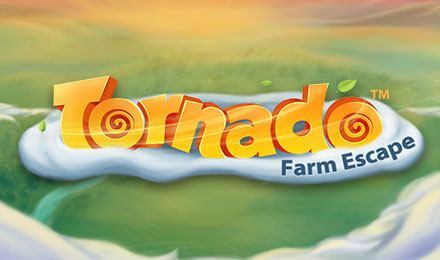 See the crazy farm animals enjoying a tornado ride on Tornado Farm Escape slot. Benefit of the exciting Tornado Feature and randomly triggered Storm Feature! On the country side, animals try to escape from the tornado on the 5 reels and 20 payline slot game! The game has 2 bonus features and is activated by one Hot Symbol on reel 1 and a Cold Symbol on reel 5 together. The Tornado will collect all active and wild symbols which will gather up to grant you huge cash prizes. Stand a chance to win 80x your stake bet. The Storm Feature is activated randomly. A story will go across the reels leaving wild symbols to result in a nice win.